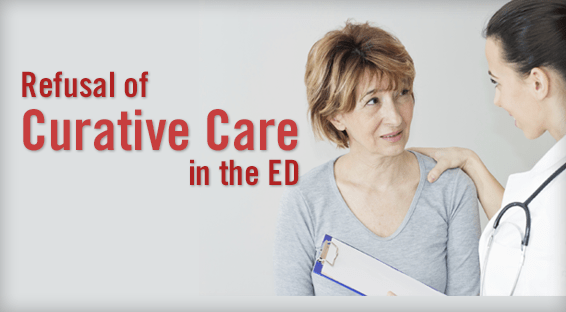 Resuscitating and stabilizing acutely ill or injured patients is a top priority for ED personnel, but traditional aggressive approaches to care may sometimes not suit the needs of those with advanced chronic illnesses who present to the ED with critical or terminal events. When seriously ill ED patients decline care targeted to cure disease, it may be challenging to rapidly shift treatment plans, especially if physicians feel unprepared and untrained for such scenarios. “When managing seriously ill patients who refuse curative care, it’s important to consider patient decision-making capacity,” says Sangeeta Lamba, MD. Pertinent information and options, including the risks of refusing care, should be provided. Ideally, patients will be able to communicate that they understand this information and verbalize their rationale for refusal based on personal goals. “It’s also important to involve the patient’s family, surrogates, or healthcare proxy,” adds Dr. Lamba. 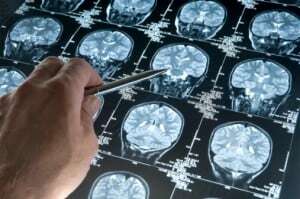 With clinical deterioration, patients may lose their ability to communicate. Others can then assist with decision making, especially if they know what patients value. “ED clinicians should first discuss overall patient goals and values before addressing specific procedures or issues,” Dr. Lamba says. “This information can help physicians frame future conversations and treatment plans to achieve patients’ objectives. It’s vital to understand the ‘why’ behind patient refusal and to use appropriate language and tone when having such conversations.” The ED team should also present viable alternatives if optimal treatment is not desired by patients or their family. Lamba S, Bonanni M, Courage CA, Nagurka R, Zalenski RJ. When a patient declines curative care: management of a ruptured aortic aneurysm. Western J Emerg Med. 2013;14:555-558. Available management of a ruptured aortic aneurysm. Western J Emerg Med. 2013;14:555-558. Available at: http://escholarship.org/uc/item/2sw7j693 or http://www.medscape.com/viewarticle/813949. Chan GK. End-of-life and palliative care in the emergency department: a call for research, education, policy and improved practice in this frontier area. J Emerg Nurs. 2006;32:101-103. Lamba S, Mosenthal AC. Hospice and palliative medicine; a new subspecialty of emergency medicine. J Emerg Med. 2012;43:849-853. Smith AK, Schonberg MA, Fisher J, et al. Emergency department experiences of acutely symptomatic patients with terminal illness and their family caregivers. J Pain Symptom Manage. 2010;39:972-981. Lamba S. Early goal-directed palliative therapy in the emergency department: a step to move palliative care upstream. J Palliat Med. 2009;12:76. Lamba S, Quest TE, Weissman DE. Initiating a hospice referral from the emergency department. Fast facts and concepts. J Palliat Med. 2011;14:1346-1347. Lamba S, Quest TE. Hospice care and the emergency department: rules, regulations and referrals. Ann Emerg Med. 2011;57:282-290. Sangeeta Lamba, MD, has indicated to Physician’s Weekly that she has no financial disclosures to report.